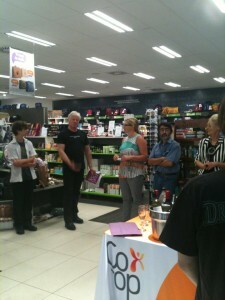 On Tuesday, we held a small local launch for 50 Great Myths About Atheism at the Co-Op Bookshop, University of Newcastle. Though this was not a huge event, it had enough people along for me to sign a fair few books and to have something of a celebration. 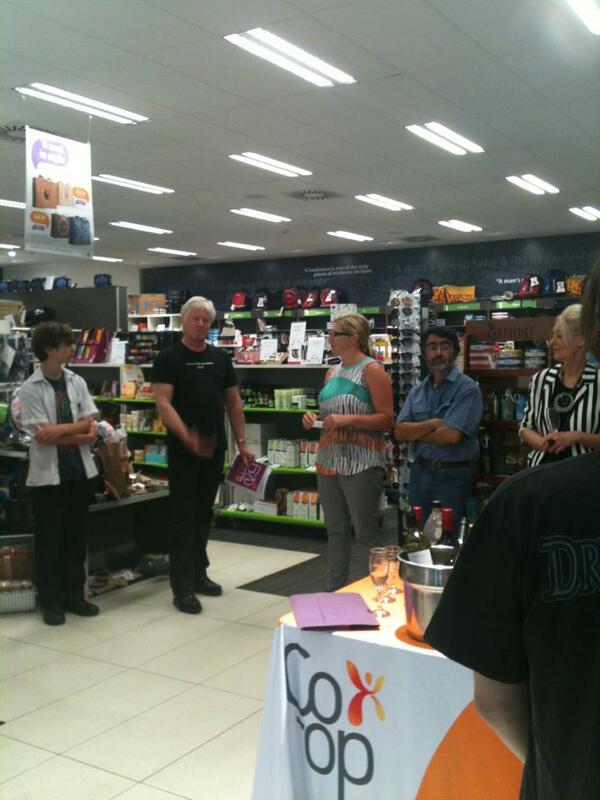 Thanks to everyone involved, not least the folks from the bookshop, Newcastle Herald journalist Rosemarie Milsom (who MC’ed the event), and University of Newcastle academic Joe Mintoff (who gave a launching speech). The photo includes, among others, me (in black; speaking with copy of the book in hand), Rosemarie Milsom (facing me), Joe Mintoff (in the blue shirt), and Amanda Pitcairn (on the right, in the stripes).